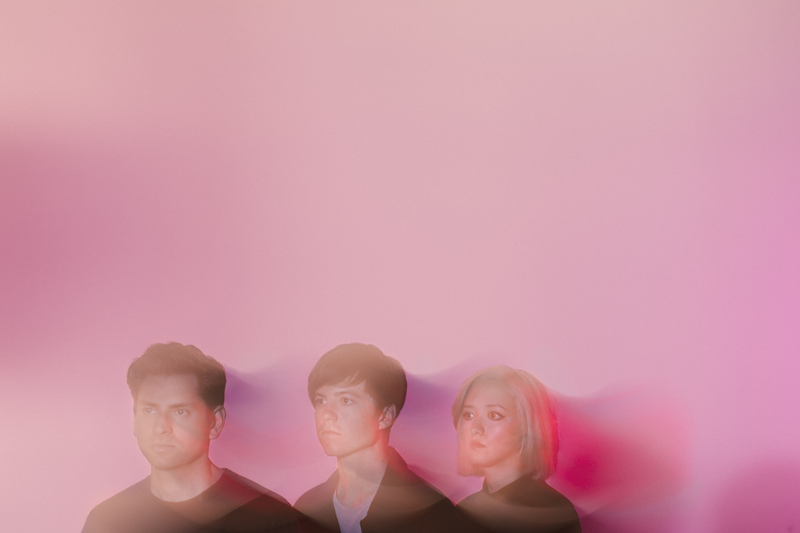 Los Angeles-based genre-blending crooners Lo Moon are on their first national tour with dark pop trio MUNA. Their track “Loveless” has been making waves across the country as of late, and we’ve been in love with its infectious melody and soothing sounds since the first time we heard it. We got to ask Matt a few questions as the band preps to wow the audience at recordBar in Kansas City later this week. So check out the interview, listen to the music, and get your tickets before they sell out! What was the first album/song you ever heard, and who introduced it to you? Oh wow, that’s a tough one. I really think the first album I ever heard was Paul Simons “Graceland”. It was my dads favorite album for a very long time. I don’t know if it was the first but I know it was the first album my dad and I shared our love for. My dad introduced me to so much music growing up, he isn’t a musician but he’s a music fan and always ahead of his time. Do you find that that initial musical memory has influenced your sound at all? I think the care Paul Simon takes in his songwriting helped introduce me to my craft. I love the way he and all of the classic songwriters (Bruce Springsteen, Bob Dylan, Peter Gabriel etc)) build the story with their words and music. I just fell in love with songs, and I still fall in love with songs every single day. It’s the song that lives on and I am always thinking about that when we’re working on our music. I believe in the power of lyrics and sound. I don’t know if “Graceland” has a direct influence on us, but I do know it introduced me to my love. What’s the Lo Moon origin story? I moved to Los Angeles a few years ago with a couple songs half written, loveless included. I wanted to find some musicians to bounce my ideas off of and build a sound around, I was desperate to have a band. I met Crisanta and Sam, through some friends, and we developed a feeling and an emotional spirit around the songs. Their unique voice and our constant experimenting with the songs pushed us into a place we all connected to emotionally. We just kept chasing that down, and over time it felt right. We can’t wait to continue to develop the feeling, and I’m sure it will change a bit over time. We’re BIG fans of “Loveless” in KC. What, specifically, inspired that song? THANKS SO MUCH! musically, Loveless started in a NYC basement around the beat and the chords. I wanted to create a song that had a feeling of moving from dark to light. The inspiration and every decision we made was really based on that. We worked so hard to connect the lyrics with a sound that reflected the emotional feeling. What does the writing and production process look like with so many talented minds working together? The process is really open. We think it’s about respecting each others voice and creating environments where all of us can explore what we do best. We push ourselves to learn from another and find something new about each other that helps the Lo Moon sound. That’s pretty much a big part of this puzzle, more so then a sound I would say Lo Moon is about a feeling. Once we have the right feeling we trust that, and there’s no way to get there without everyone’s voice. The esthetic you’ve provided the world is one of tranquility, when you get down to it. What inspired that decision, or was it just kind of organic? That was all organic. We kept chasing a feeling that felt right to us, and we trusted it. It’s about everyones unique voice coming through in the music. Each song is a different look into our world. You’re on tour with Muna right now. (At least as of today.) How did that collaboration come to be, and what’s it like? We were so happy MUNA asked us out on their tour. Both of us are based in LA and we are having a blast. They are so great and a powerful voice. What are you most looking forward to about the rest of the tour? I can’t wait to play Bowery Ballroom in NYC. I am from NY and I’ve seen so many great shows there. BUT we really look forward to developing the show and learning something new about the live show every single night. It’s amazing to see how how each song feels and effects different crowds. Running sneakers for a little pre-show jog post van ride. A nice candle for those awesome smelling hotel rooms. Noise cancelling headphones, not because I want to drown out my bandmates, but because I gotta get my meditation in! Batman. He’s just the best. He saved Gotham City cmon now. And this is why you’re our favorites… What’s up next? We will continue to introduce more songs to the world and get out there and play live. We can’t wait to head to SXSW and Europe shortly after! Keep up with Lo Moon here.